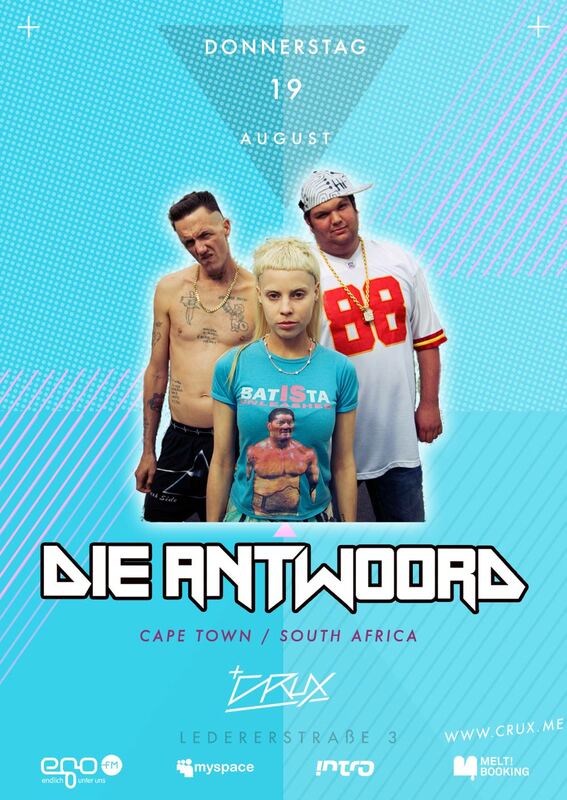 DIE ANTWOORD outta South Africa, maybe the biggest internet hype this year, is touring Germany right now and will rock Munich on Thursday, August 19th. Definitely a must-see, but unfortunately already sold-out. Well, I don’t know much about Munich’s black market but you should give it a try. At least check out the aftershow party with Berlin expatriate Tim Turbo.